In a rare snub to all-weather ally Pakistan, Chinese President Xi Jinping skipped a customary meeting with Prime Minister Nawaz Sharif at the SCO summit in Astana after the murder of two Chinese teachers in Balochistan. 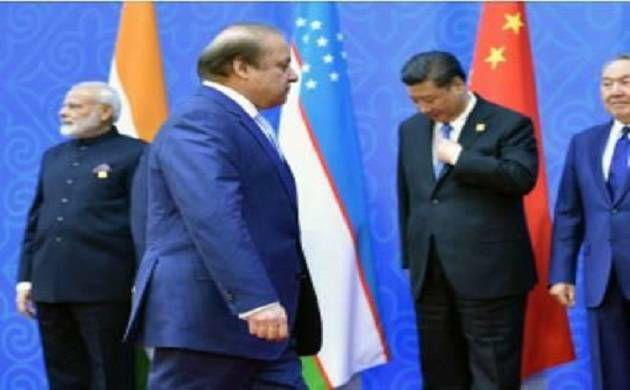 Sharif returned from Astana after attending the Shanghai Cooperation Organisation (SCO) summit on the sidelines of which he met Presidents of Kazakhstan, Uzbekistan, Afghanistan and Russia. Conspicuously absent was a meeting with Xi.Chinese state-run media highlighted Xi's meetings with Kazakh counterpart Nursultan Nazarbayev, Prime Minister Narendra Modi and Russian President Vladimir Putin. Xi's unprecedented snub followed deep disappointment and grief among Chinese public over the slaying of the two Chinese citizens who were kidnapped last month from Quetta in Balochistan. The two were brutally murdered reportedly by Islamic State (IS) militants. The news of their murders was made public ahead of the SCO summit held on June 8-9 in which India and Pakistan were admitted as members. Friday, Chinese Foreign Ministry spokesperson Hua Chunying explained that the murders were no way connected tothe USD 50 billion China Pakistan Economic Corridor (CPEC)which was opposed by the Baloch nationalists. The CPEC is part of China's ambitious multi-billion Beltand Road intuitive (BRI). "This incident will not have any necessary connection with the BRI," nor with the summit of the Shanghai Cooperation Organisation, meeting being held in Astana, Hua had said. China has deployed hundreds of Chinese workers to workfor the CPEC which connects Gwadar port in Balochistan with China's Xinjiang through Pakistan-occupied Kashmir. Hua said Pakistan pays great attention to the protection of Chinese citizens in the institutions there and made great efforts for their security. "As per BRI we should be prepared for risks if want to goglobal. Since the three years after the BRI," she had said.